A flash flood and thunderstorm warning has been issued for north-central San Diego County, the National Weather Service announced Friday afternoon. 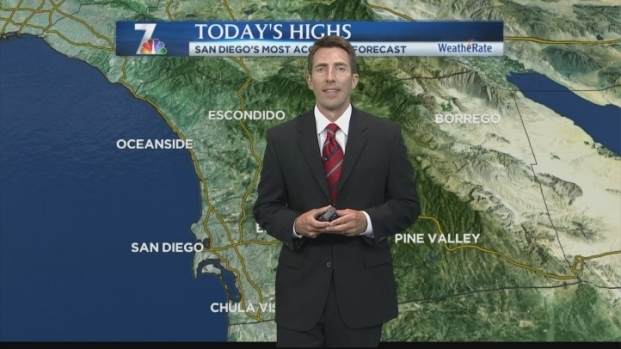 Click here for weather updates and radar maps. The flash flood and thunderstorm warnings are in effect until about 2:30 p.m. Friday. Thunderstorms producing heavy rain will likely occur near Palomar Mountain, Oak Grove and Sage. Another flash flood warning was issued for Descanso and the Japatul Valley until 3:30 p.m. The NWS warns residents to avoid driving on roadways covered by water.